Premier indoor soccer leagues and training! WELCOME TO LYNCHBURG SOCCER MANIA! Lynchburg’s premier indoor soccer leagues, camps, and clinics for kids and adults of all ages! Our leagues are housed at the Thomas Indoor Soccer Center at Liberty University. 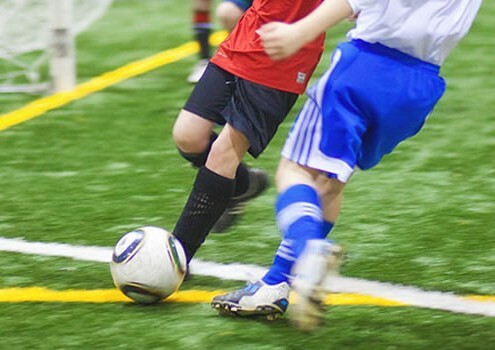 The facility offers two 175’ x 75’ size soccer arenas with synthetic grass-like playing surface. Each field is completely surrounded by dasher boards and tempered glass. The facility offers free WiFi to all of our customers. We feel this first class facility will allow you and your family the opportunity to enjoy the game of soccer throughout the year, while emphasizing family values, community involvement and excellent customer service. We look forward to having you become a part of Lynchburg Soccer Mania and hope you enjoy your experience! Note: The Thomas Indoor Soccer Center is a “play at your own risk” facility. We offer both Summer and Winter leagues at Lynchburg Soccer Mania. Registration will stay open until all spots are filled. Winter League Registration opens up at the end of September and runs December through February. Registration for Summer League opens up at the end of April and runs June through August. (Please email alder.jeff@gmail.com for the registration forms.) We will then send each coach the login information required to allow you to enter the website to register your team online. You must also submit the paper registration form, roster and check payable to soccer mania in the amount of $125.00 to reserve your spot in the league. We also accept PayPal. Ready to come play Indoor Soccer? If you are an individual player looking to play on a team please contact Jeff Alder at alder.jeff@gmail.com give your name, age and contact information and we will put you on a list that is sent to coaches weekly. In the event there is a team looking for a player, their coach/manager will contact you.